PHILIPPE HAS BEEN ACI WORLD’S HEAD, POLICY AND ECONOMICS SINCE FEBRUARY 2017. HIS MAIN RESPONSIBILITIES INCLUDE DEVELOPING AIRPORT ECONOMIC POLICIES; AIRPORT CHARGES AND AERONAUTICAL BUSINESS DEVELOPMENT; AIRPORT SLOTS; AND, ACTIVITIES RELATED TO ICAO’S AIRPORT ECONOMICS’ PROGRAMMES. 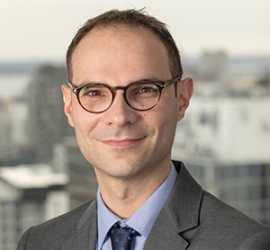 PRIOR TO JOINING ACI, PHILIPPE HELD POSITIONS WITH INCREASING RESPONSIBILITIES IN AIR TRANSPORT ECONOMIC POLICY DEVELOPMENT, AND AIRPORT USER CHARGES AND AERONAUTICAL REVENUES AT ICAO AND IATA. HE HOLDS A MASTER’S IN PUBLIC POLICY FROM THE PARIS INSTITUTE OF POLITICAL STUDIES, FRANCE, AND A PHD IN POLITICAL SCIENCE FROM CONCORDIA UNIVERSITY IN MONTREAL, CANADA.